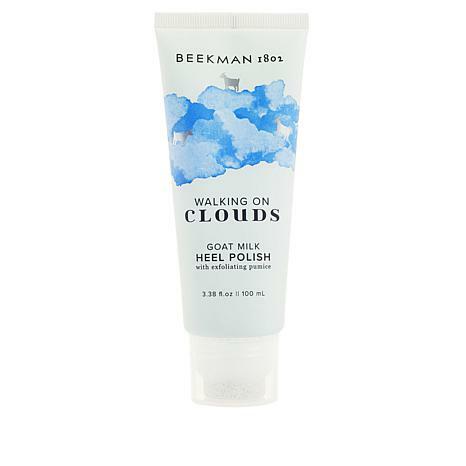 Formula that uses a combination of glycolic, salicylic, lactic acid and other key ingredients to soften dry skin on your feet. After a bath, shower, or a luxurious foot soak, squeeze the heel polish and start massaging the pumice on your feet. 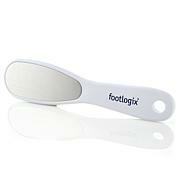 Work the areas for 1 or 2 minutes on each foot while the product soaks into feet. Ingredients: Glycerin, Butylene Glycol, Butyrospermum Parkii (Shea) Butter, Polyglyceryl-10 Dipalmitate, Glycolic Acid, Lactic Acid, Menthol, Synthetic Wax, Isopentyldiol, Caprae Lac (Goat Milk), Caprylic/Capric Triglyceride, Limonium Gerberi (Sea Lavender) Extract, Silybum Marianum (Milk Thistle) Seed Oil, Algae Extract, Mentha Viridis (Spearmint) Leaf Oil, Eucalyptus Globulus Leaf Oil, Salicylic Acid, Melia Azadirachta (Neem) Leaf Extract, Melia Azadirachta (Neem) Flower Extract, Tocopherol, Water, Phenoxyethanol, Ethylhexylglycerin.